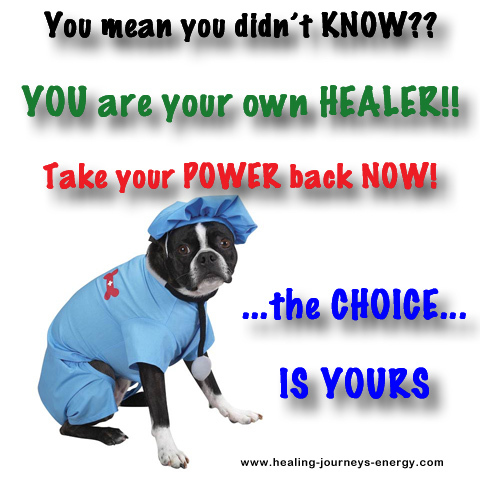 Is it possible to Own Your Power to Heal, to Take Your Power Back? ... YES! Can you really achieve your dream of owning your power and of owning your health? ... ABSOLUTELY! 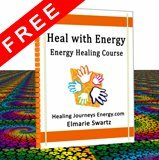 I am giving you a FREE Energy Healing Course ... especially for you... because owning your power, your power to heal, to become who you really are, is really about owning your health and YOU DESERVE IT! Why give away YOUR power? Consider for a moment how your reasons for not being able to heal yourself may have been your dependance others... scary huh!! Have you given others the power to decide your way of being, and thus kept yourself from being healthy? Is it possible that you have ...in many ways... given away your power by your ways of speaking and thinking? REMEMBER... Your symptoms and health challenges are best thought of as opportunities for growth and evolution as a human being on this planet. However most people don’t view it this way, most people are looking for quick fixes and for other people to nurture them, to care for them and to tell them what to do... a shame isn't it? It is in fact this same sense of subservience that illustrates why so many people lack a sense of bodily intuition and self-responsibility. Healing has to be about returning to the source of knowledge, your own self, and allowing the growth of bodily intuition to take place. Without this fundamental shift of perspective and responsibility, health will only be accidental at best, and impossible at worst. 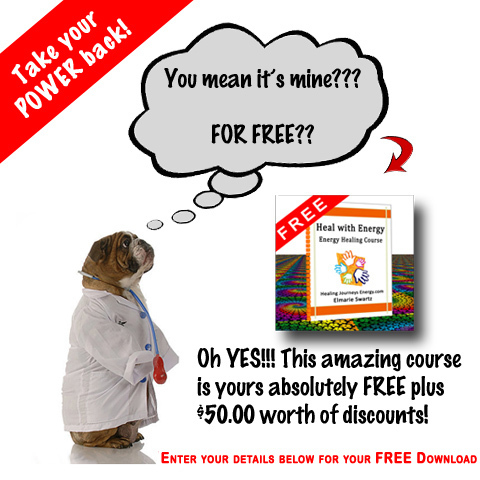 Download my FREE Energy Healing Course right now! The links to the courses will open in a new window.